No matter how exceptional your company, products or services, if your online presence is weak your online reputation is at risk. There is no shortage of individuals who love to use controversy to generate traffic they can monetize or to make themselves feel more powerful – at your expense. The fewer search engine listings (serps) you have now, the easier it is for bad publicity to affect your sales and reputation. Someone with very little real influence can dominate the serps for your company name – if you don’t have any coverage already there – leaving you to scramble for new content to reduce their influence. Even the best people and companies will have detractors. The best defense is a strong offense! Make sure your company has multiple listings in the search engines for your company name, products, brands, makes and models, key personnel and your most important keyword phrases. Existing listings insulate your from attacks by power-happy individuals with little influence and dilute the negative impact influential writers can have. How important is your reputation? Read Why You Should Google Your Name Right Now for more reasons why this matters and what you can do about it. What if you still end up with a PR Nightmare on your hands? When a Reputation Management Crisis hits, don’t panic. First be sure to evaluate the actual influence the negative information has on its own. CRITICAL: If THEY have little influence don’t hand them any of yours! Many people who like to stir up controversy do not actually have many readers or followers. When that is true, DO NOT respond to them publicly, retweet what they have to say, or write about the issue. Do attempt to reply where they raised the issue – and do not be surprised if your replies never get approved or acknowledged. Do monitor the situation so that is if becomes more widely public you can immediately respond, preferably on sites where you can control what happens to what you publish such as your blog. Be calm, clear and present your side of the story – there is ALWAYS more than one side. Be polite and apologize if there is indeed a misunderstanding or any mistakes on your end. Do your best to resolve the situation. If the other side is not interested in a resolution, state your position including your attempts at resolution and stop participating in further discussions. Carefully read anything new that pops up and lean towards NOT replying unless there is a very good reason to add additional details. The less energy you add the sooner the problem will fade away. Focus on creating positive content. If the person who created the issue is very powerful you may even want to keep a lower profile than usual, but do what you can to get new search engine listings above them in the search engines. If you have a strong positive reputation and many fans in the online community let them defend you. Bloggers can be beneficial friends to quality businesses, coming to their defense IF they deserve it. Developing relationships between bloggers and businesses in specific niches and locations benefits them and the public too. Once you have those relationships (or know a blogger who does), you can quickly raise visibility for new projects, products or increase content roll-out to handle any PR challenges that arise. Wise bloggers are very selective about linking to or writing about businesses and products. Businesses should be equally selective about choosing bloggers who have influence and are professional in their actions and what they write. New ways for measuring blog influence are being developed as are ways to identify Social Media Influence. Research shows that Blog Influence On Consumer Purchases Surpasses Social Networks and that influence will grow as bloggers learn to geo-target specific niches. My prediction for 2011 is that blog outreach between businesses and bloggers will grow exponentially. The fast path for businesses to connect with bloggers is to create relationships with bloggers like me. Because we spend so much time on Social Networks and collaborating with other bloggers we already know which bloggers write in which locations and niches and what types of businesses they would consider collaborating with versus which would never be a good fit. Businesses are invited to contact me for referrals, additional information or answers. So Thanks to sharing a good post like this. keep up the work. Choosing a brand is very important, it’s like leaving behind one’s signature. It’s so important that no surprise, online brand reputation has become very popular and has created an impact on internet marketing. I believed that branding is one of the most important consideration for most businesses.It is tone thing that represents the company and differentiate it from other company.Thus, it always necessary to protect and maintain it. Thanks for sharing us the tips on how to do it so.Keep posting great articles. It’s the 1st time I’ve heard about Reputation Manager, but you are right. Like you said: social networks are very important, Facebook, Twitter, etc. They keep you connected with the users and the users connected with you. It’s very hard to achieve reputation and it takes lot of time and hard wok, but to lose it – it takes only a few seconds and it’s very hard to regain it. Cheers! Social media, social networking, and search are having an increasingly large impact on how your brand is thought of. The combination of these technologies and consumer generated media has greatly amplified the voice and impact of individuals. The opportunity to support brand advocates as well as the challenge of effectively addressing critics has created a new world for marketers and communicators.And most of the content of this article is true. Interesting article!I agree that branding is very essential for every business.This would represents certain company. 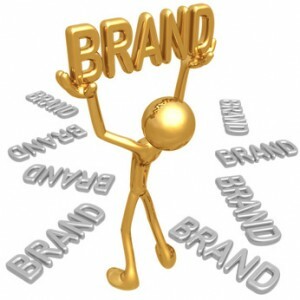 Branding would actually help to get loyal customers and to stand out among the competitors. But of course we must also see to it that it should a different and a unique brand.Thanks for the post! You actually have a great points here.I totally agree that online presence is very essential in creating a great online reputation. It is also important for every company to maintain a good reputation since it is a key part in business development and success.Through this it will be able to attract target customers.Thanks for the post!It’s really informative! Without a brand, you have no presence. To dominate a niche I believe one must brand themselves inorder to position themselves as an expert in their field. Branding is positioning. Positioned to be the “go-to” person for the solution. Anyone trying to violate someone elses presence, may just be lucky to have the access to do that if the blog owner don’t have restrictions for bloggers to follow. My online reputation is of utmost importance to me. That’s why I’ll do everything to improve or at least maintain it. Your brand represents your company and who you are. A simple logo or sign distinguishes you from the competitors and one must do all means to protect it. Make your brand known and respected. well i think The very place where peple are looking for services is the Internet! And to close eyes to this potential customers is impermisable, esp. for newbies in the market. It’s interesting you made this post because I just tried to Google my name out of curiosity about 2 days ago. I agree, wise bloggers are very selective when it comes to linking/recommending a business or product and the main reason is because their reputation/brand is on the line every time they do. It could take your years to build up a solid reputation where people easily trust you and what you have to say. However, it only takes one bad misjudgment to ruin that reputation and it could take you forever regain it. Most people/businesses are normally don’t give too much thought about their reputation until it affects them in a negative way, and by then it’s too late. With the internet being the “go to” source for everything, having a positive online reputation, can make or break your business. There are times when someone may post something negative, because you can’t please everyone, but an important piece to maintaining your credibility and trust from potential clients is to answer in a dignified, calm manner, not to fly off the handle and respond in an unprofessional way. If you are proactive, in your online dealings, treating each interaction carefully, you’ll be that much more ahead. “Good will” is actually an intangible asset that carries real value. You make some very cogent points about online reputation management. That’s right. But the real work to be done is having multiple listing as you said. So SEO is essential to get there. One of the more interesting examples of reputation management I have seen was by Tim Ferriss. If you Google him, the first Google suggestion that comes up is “Tim Ferriss Scam” which I suppose is searched quite a bit. So Tim wrote a blog with the title being “Tim Ferriss Scam!” and then dedicated the blog post to talking about dealing with haters. He used his own site’s credibility with Google to rank first for that search term and so now anytime someone searches for “Tim Ferriss Scam” his site comes up first and serves as a buffer between people and potential negative comments. Pretty smart. That’s really smart. And he targeted a highly searched keyword with few sites going for it. I bet it was like linkbait too. Yes, that is an excellent example of what I am suggesting: that you must “own” the most important searches related to you and your business. Thank you so much for sharing that example, Tony. Reputation is actual business. If a company has good reputation, it will do a lot of business. I usually don’t post in Blogs but your blog forced me to, awesome work,stunning! Big companies spend huge money on creating a brand and for a very good reason. Buyer confidence and saturation. It can’t be over looked and as they always say customer service is the key to building your business. This is the first time I have heard of the reputation management, but after reading the article and think about it a few minutes, I realized he is right and to protect our brand is something that we often forget. Of course reputation management is important. Having a good reputation is what gets a site to grow. A good reputation keeps online and offline sites going because a good reputation fuels good reviews and good reviews send so many people to a site. All great points, and very much agree, but the sad reality is that because of Google and their Humility Algorithm (as it’s called by many), review sites like ripoffreport or even Blogspot, even though many of the claims are developed by competitors who will do anything to sling mud, show up on the first page of SERPS. I could go on Google Blogspot right now and make up a negative review ‘site’ of any competitor and within a few weeks it would likely be first page of SERPS in google. Just throw in a few negative words like ‘scam’ or ‘complaints’ or anything of that nature and people without names or faces can ruin companies. Frankly, this is a huge problem and it’s really, really sad. Although I love Google in many ways, their Humility Algorithm is a crying shame. Nice, just found your blog! Thanks for this awesome share, I agree with you that protecting your brand is one of the most important things when being an entrepreneur. I mean, at last, your reputation is what sells. I agree that even if you aren’t engaging online, other people are–so be on the offense is key. Setting up Google Alerts to see who is talking about your company is a great first start. You raise a very important point in there. 9 x outa 10 when someone finds themselves in a controversial situation, started by another, they end up sinking themselves by getting overheated, rebutting it EVERYWHERE instead of just letting it go when applicable. Our own worst enemy indeed. Always good to have you drop by with words of wisdom. It is inevitable that anyone operating online is eventually going to be attacked so we all need to be prepared. There are people who wait until you are getting publicity and then go after you so they can drive traffic and sales. There are at least two very prominent bloggers who do that. Staying calm and responding wisely is key. As you so aptly point out, we don’t want to be our own worst enemy in a situation like this. 1. While it seems obvious… you need to train staff to deal with negative feedback and complaints so they have a process in place to deal with these exchanges. 2. as Google is now prioritizing ‘brands’ it’s in one’s best interest to develop a mature brand with a long term strategy. Small businesses can actually have the advantage when it comes to dealing with negative feedback. They are more likely to empower their employees to be flexible. When G says brands I believe they only mean some Big Brands (multi-national Corporations) and not small businesses no matter how well they can brand themselves online. There are still many people who do not realize how important branding is in their business ventures. Businesses that utilize blogs and social media marketing strategies have a far greater lead than those that do not have any. I think those companies that already have established their brands like McDonald’s, Gucci, etc (before blogs and social media were invented) are the lucky ones. Absolutely agree with you! The very place where peple are looking for services is the Internet! And to close eyes to this potential customers is impermisable, esp. for newbies in the market. Many businesses simply do not understand yet. I spoke to a restaurant owner who told me that customers actually SHOWED HIM on their hand-held devices that he could not be found online – and still he is unwilling to take the time or spend the $200-$400 to list his restaurants online in Local Search Directories. That is like turning down free perpetual advertising. I just don’t get it. His restaurant is lucky – they are so popular that the people who showed him were able to ask around and find out where he was. Most won’t be so persistent – they’ll just go somewhere else. Its unfortunate to see people spend so much time and money on building a good looking website, while not fully understanding the need to ensure they build a strong reputation from day one. Its easy for those who abuse domains to get into the top10 for certain keywords, hopefully in the future they will be weeded out and people will become aware of their tactics. You’re welcome. If you ever need quality Florida millwork visit Good Millwork’s blog. They’re good people based in Santa Rosa Beach. Panama City Beach is one of their major markets. You could benefit from my post about Local Search Directory listings. I’ll put it in CommentLuv in this reply. With over 70% of modern consumers reporting having gone online to do research on a business and read reviews, small businesses can no longer afford to ignore their online reputation. We at chatmeter agree that online reputation management has never been more important to success in today’s digitized world. Thank you for weighing in on the importance of branding. It is NOT just for big brands and multi-national corporations – it is for small businesses too. Did you happen to read my post about how bloggers can position themselves to reach specific audiences and create a demand to reach those audiences? A site like yours would be perfect to expand on that idea of geo-targeted blog niches. I always mention the fact that since social media puts the “human” as a central hub for information, it has become important, more than ever, to enable a bi-directional conversation with people coming in touch with your brand. Showing you care, and you’re just not a brand, will go a long way and help you managing and improving your reputation in multiple channels. I totally agree that talking WITH your cusomters and potential clients is key. It will become obvious which companies actually care and which only give it lip service – and that, I hope, will favor small businesses again. I just hope consumers wake up while they can still find those small businesses. The trend is toward favoring big brands so much – first in the search engines and advertising (because they can afford to buy it) and possibly as a “fast” Internet for the favored elite makes the sites of small blogs and businesses slower to load. growmap would love you to read ..Stop Competing – Start Collaborating! Having and established brand is a must if you want to make your presence felt online, or better said if you want a business you need a brand. And I am feeling compelled to said it again, a quote said by someone in top 500 forbes: “Build a strong brand, and that brand will sell!”. But some smaller companies don’t know or don’t have an interest in making their presence felt online and this might affect their brand, if someone is overtaking their brand listings in search engines and maybe sell the same products, but with a lower quality. It’s pretty hard for a small company to make their presence online, because most don’t know what they should do, and have no idea about bloggers, and how they can help them. It is unfortunate that many small businesses do not understand how an online presence could be helping them. I believe we will see more bloggers and businesses working together for the greater good in the coming year and forward. Those businesses who start using blogs and Social Networks first will have a great advantage – and with the economy the way it is going there is no time to lose. Any who are interested may wish to check out the Social Media Marketing event post. Events are a fast way to get an overview on what is possible and where to start. It is my belief that every company should be operating with their reputation on their mind in every day work, every decision, and every interaction. Most companies only think about that when they are trying to salvage it. Yes, many businesses are so focused on the immediate bottom line that they do great harm to their future growth. I would love to see people return to the days when they supported their favorite small businesses instead of focusing so much on price and so little on service.